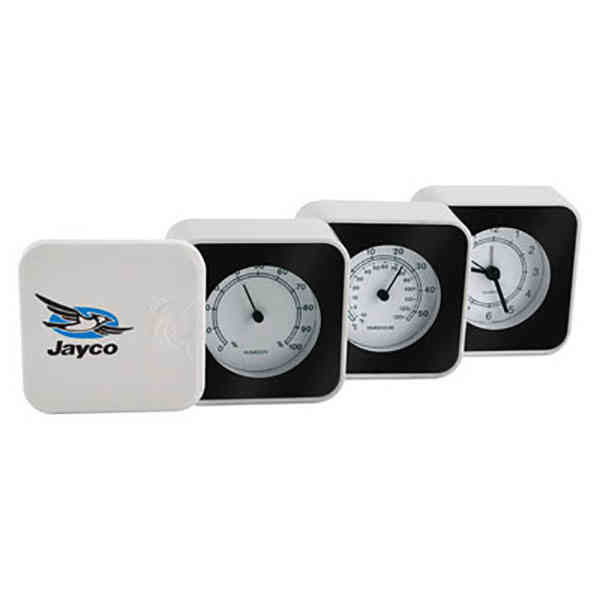 Imprint Method: Pad Print - Start a new marketing campaign that will take your business far when you include this quartz travel clock as a promotion! It features a folding function, an analog thermometer, and a humidity display. It also has a second hand and comes included with a battery. Pad print this with your company name or logo and have a way to entice more clients over to your tradeshow booth when you show this off. What a great way to start a lasting customer relationship! Atlanta. Size: 2 1/2 " x 2 3/8 " x 2 1/2 "
Imprint Size:1" x 1 1/2"